When looking for a historic vacation destination on the East Coast, Fredericksburg, Virginia comes to mind as a beautiful small town with a history that dates back to pre-Colonial times. In this quaint setting, visitors can explore a variety of museums, battlefields, and historic homes. They can take part in walking tours, enjoy fine dining, shop in charming boutiques, and take in dinner and a show. With so much to do, some active adults might not want to leave. Civil War buffs will particularly enjoy exploring the town of Fredericksburg and its surroundings. There are dozens of museums, historic landmarks, and battlefields scattered throughout the area, including George Washington’s boyhood home. First-time visitors can find out more about the area’s offerings and buy a day pass to many of the historic sites by starting at the Fredericksburg Visitor Center. Just a few of Fredericksburg’s museums include the White Oak Civil War Museum, the Hugh Mercer Apothecary Shop, and the Marine Corps Heritage Foundation. Visitors can also tour several historic homes, such as the Kenmore Plantation, which is billed as one of the most elegant colonial mansions in The United States. Steeped in a history that includes many Colonial and Civil War battles, the small town of Fredericksburg claims to be the United State’s most haunted city, per capita. Several local ghost tours are available to shed a ghoulish light on some of the town’s spookiest ghost stories. In addition to tales of terror, these tours also include some interesting elements of the town’s colorful past. While many of the area’s historic sites are open year-round, special events are organized throughout the year. One such event, called "Bricks an' Boards in the ‘Burg," is a fascinating walking tour that highlights the town’s architectural beauty. Other special events include juried art shows, stage plays, historical reenactments, and outdoor music concerts. 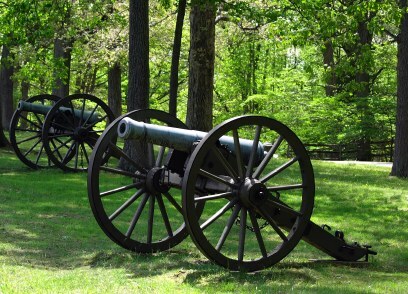 If history is not your primary interest, Fredericksburg offers many other attractions as well. The area is home to several 18-hole championship golf courses, including the Gauntlet Golf Club and Lee’s Hill Golf Club. Those who appreciate fine wine and spirits will enjoy visiting Fredericksburg’s local wineries, the Adventure Brewing Company and the A. Smith Bowman Distillery. There are also several unique shops, fine restaurants, and performing arts theaters. Active adults who fall in love with Fredericksburg will want to explore the town’s nearby active adult communities, which include Celebrate by Del Webb, Falls Run by Del Webb, and Virginia Heritage at Lee's Parke by Lennar. Each of these communities offer amenities designed to support an active lifestyle while still being within close proximity of Old Town Fredericksburg.